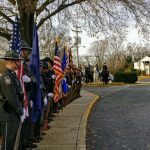 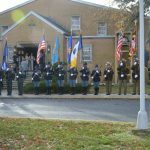 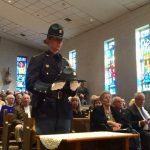 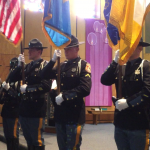 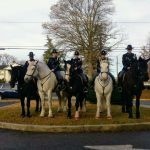 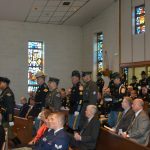 The Delaware State Police Memorial Service was held at the Saint Polycarp Church on Monday, December 3, 2018 where our brethren honored and remembered the service and ultimate sacrifice of our 33 fallen brothers and sisters. 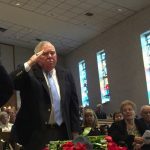 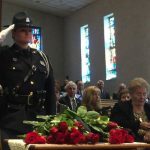 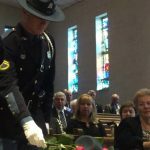 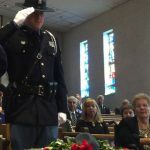 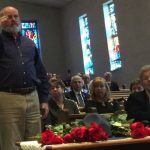 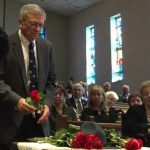 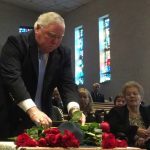 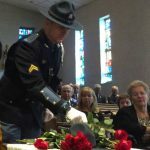 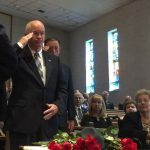 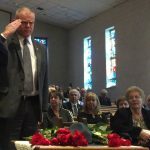 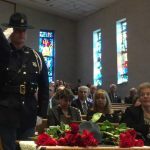 During the Heroes’ Roll Call, the families and friends of the fallen placed a rose on the table that held the trooper’s campaign hat- a revered symbol of all Delaware State Troopers. 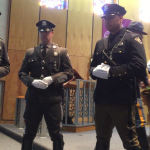 May God bless those who wear the uniform. 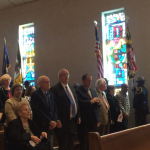 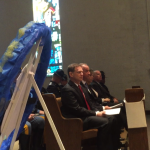 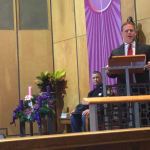 The delegation of speakers, during the ceremony, included the Attorney General of Delaware, Matthew Denn, Secretary of Safety and Homeland Security, Robert Coupe, Superintendent of the Delaware State Police, Colonel Nathaniel McQueen Jr. and the President of the Concerns of Police Survivors, Mrs. Eleanor Allione. 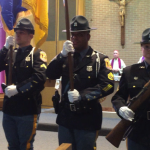 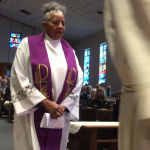 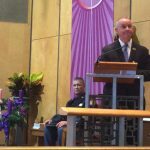 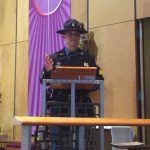 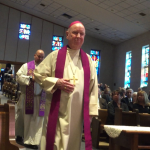 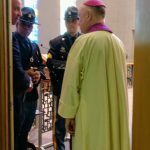 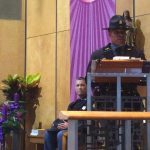 The Most Reverend Bishop W. Francis Malooly and the Delaware State Police Chaplains, Florence Cephas and William Coco, offered kind words and prayers for our fallen brothers and sisters, our survivors and for the protection and safety of our troopers providing us with continued hope and restoring our faith in our commitment to service. 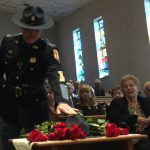 During the ceremony Retired Delaware State Police Sergeant Hal Blades recalled the “Retired Troopers Remembrance” followed by Major Melissa Zebley Placing of the Campaign Hat with a reading of the “Heroes Roll Call” by Major Daniel Meadows giving each family an opportunity to place a long stemmed red-rose on the table next to the campaign hat-a symbol of every trooper-to honor their loved ones who made the ultimate sacrifice. 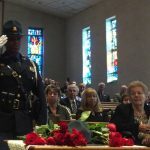 Taps sounded after the last rose by, Sergeant Jonathan E. Packard. 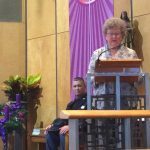 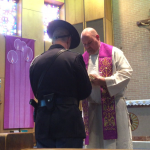 The Delaware State Police Chaplains blessed the Saint Michael’s Medals, a symbol of God’s protection for law enforcement. 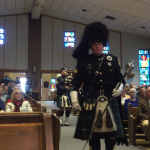 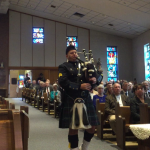 The service was blessed to have everyone join and sing “America the Beautiful.” The Delaware State Police Pipes & Drums and Honor Guard led the ceremony’s processional and recessional to close the ceremony with the hymn, “Amazing Grace”.